March 21st marks World Down Syndrome Day. The occasion reminded me about I conversation I had with a wealthy friend almost twenty years ago that made a profound impression on me. He had been raised in sunny California and seemingly had the world at his fingertips (due to his wealth, a good education, and good looks). Then God delivered to the family a great gift: his youngest brother was born severely disabled. It is his belief that his younger brother fast became the very anchor that saved himself and his brothers from a life of self-absorption and indulgence. He indicated to me in our discussion that the very salvation of himself and brothers was likely altered by the brutal reality of the youngest brother’s disability—his younger brother radically changed the way he viewed other people, his own role in life, and his relationship to the Creator. Our increasingly secular and utilitarian world often does not share the perspective of my friend and his family regarding the disabled, as evidenced by the increasing trend of aborting babies in the womb who are suspected to have them. In fact, people with congenital disabilities “are facing extinction” due to abortion, according to conservative member of the British Parliament, Lord Kevin Shinkwin, who is disabled himself. Our faith tells us that every disabled person possesses the same inherent human dignity as every other person, and he or she reminds us of our call to self-giving love as modeled by Christ. Many can tend to see the “burden” of disabled people and miss the extraordinary blessing that they are. That being said, I am grateful to see the growing countercultural trend where people are calling attention to the joy and richness of life embodied in persons with disabilities. 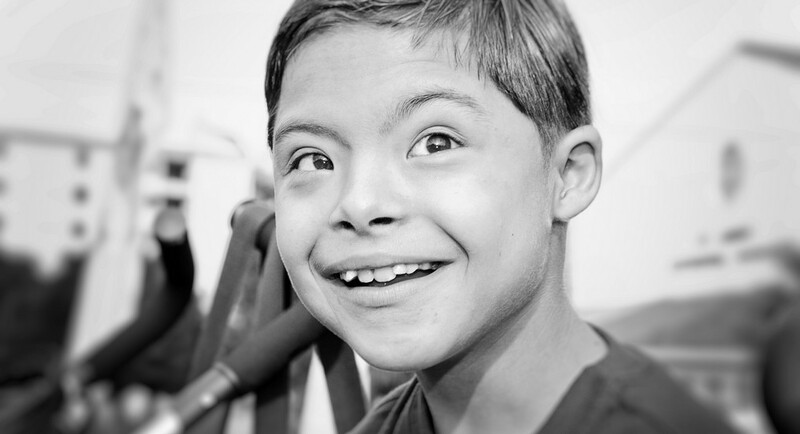 Please view the video linked below, shared for the 2014 World Day of Down Syndrome. This video went viral, receiving millions of views.